We've had such great weather this week I've just been walking all over the place. 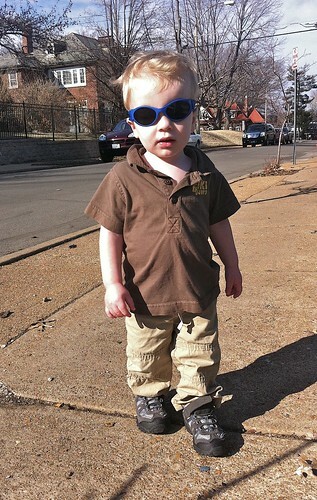 Yesterday I strutted around the block wearing my shades. 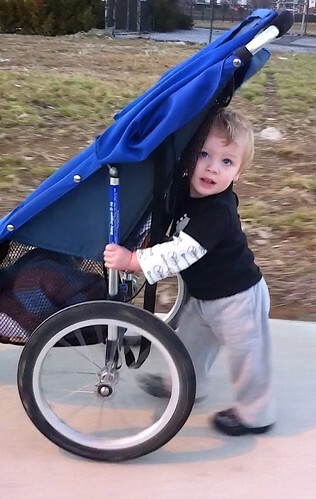 Today I decided to imitate Daddy by pushing the stroller home from daycare.